Dido's Designs: Love is All Around!!! I hope everyone is well today. I have Tom off school not feeling well so its a cosy in day!! I finished this card last night. Jake wanted it for his Lynnes Christmas so I made it all pretty and girly. The backing paper is bright pink but it looks more red on my monitor. 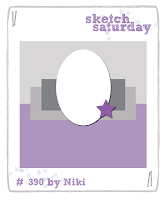 This wee Snowman is a fabby freebie over on A Day For Daisies Challenge this fortnight. I had to grab him as hes adorable!!! Stardust Stickles and Liquid Applique for Snow. 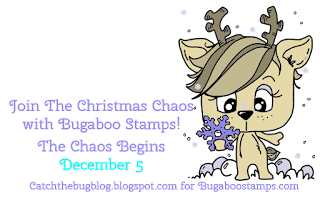 Thanks for dropping by today, I will be back on Thursday when I continue with the Christmas Chaos over on Bugaboos Challenge. Sketch Saturday. - Sketch Turned on its Side. Creative Card Crew - Holiday Season. The Pencil Case - H for Heartfelt. Pile it On - Anything Winter/Christmas. Gorgeous Christmas card! Fab colour combo and colouring! Thanks so much for sharing it with us at the Pencil Case challenge. SO cute - I love the diecuts! Thanks for joining us for A Day for Daisies' 'Modern Christmas' challenge. Please join us again soon.